“You have probably read lots in the press recently about the WannaCry ransomware attack that recently affected the operations of the NHS across England and Scotland. What is pertinent about this and similar attacks is that, whilst not wholly preventable, simply making sure your PCs and other internet connected devices are kept fully up to date and patched can minimise your exposure to such attacks, as they prey on devices where the Operating System is not up to date and / or Anti-Virus software is out of date or not present at all. Just as importantly is the understanding of your employees. Many Cyber attacks are helped along by actions of unwitting employees. Simply by clicking links in fraudulent emails, or replying to / forwarding them, and you could be providing Cyber-Criminals with the keys to the door of your IT systems. BHIB can offer advice, information and comprehensive Cyber Insurance cover to help you ensure your business is protected. If you would like to know more, please speak to your usual BHIB contact, or Andy can be contacted via email or (0116) 2819152. You can download some useful information on the aftermath of WannaCry here. Remember to follow us on Twitter to keep up to date with all of our latest news! 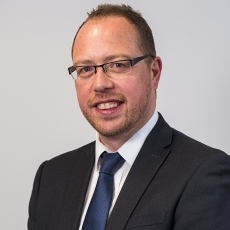 Andy has over 25 years’ experience within the Industry and joined us back in in 2012 having previously worked in both broking and underwriting. Andy is our Cyber specialist who fully understands issues facing our clients in this area, and who has been an active member at a number of local Cybercrime initiatives. Away from the office Andy enjoys spending time with his wife & children, cooking, travelling, walking and cycling. He also a member of CAMRA and enjoys sampling good quality real ales & cider, having also experimented with some of his own “home brews”!